Introducing the next generation of folding covers ?Co the UnderCover Flex folding cover. 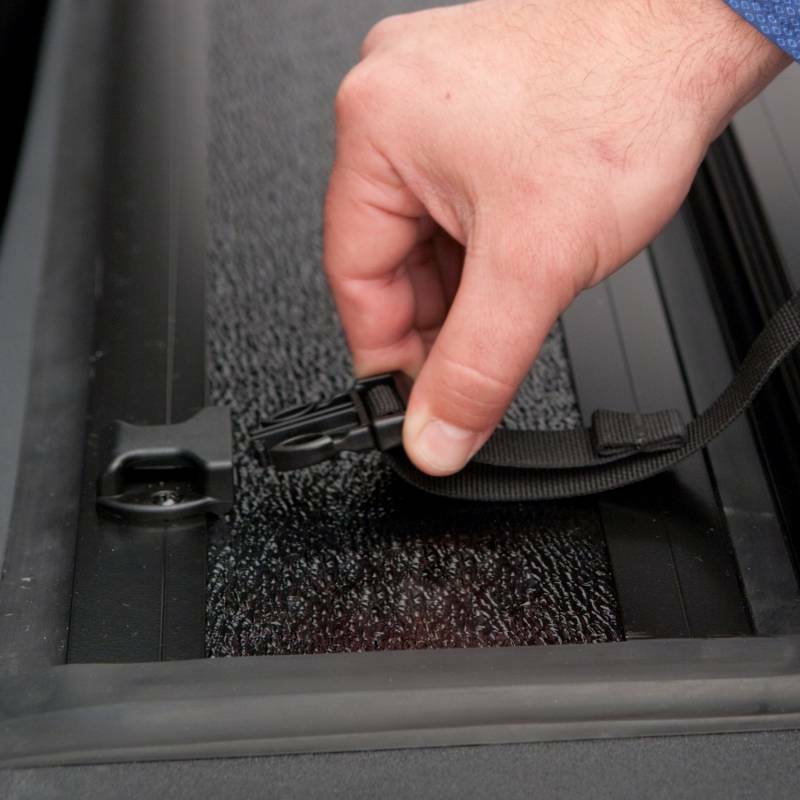 Flex combines the best of both worlds, the security of a hard locking cover and convenience of a soft roll up cover. Constructed from the best materials available, Flex will withstand the abuse Mother Nature throws at it and keep coming back for more. Low Profile ?Co Ultra-low profile design rests inside the bed rails allowing for a very sleek look. 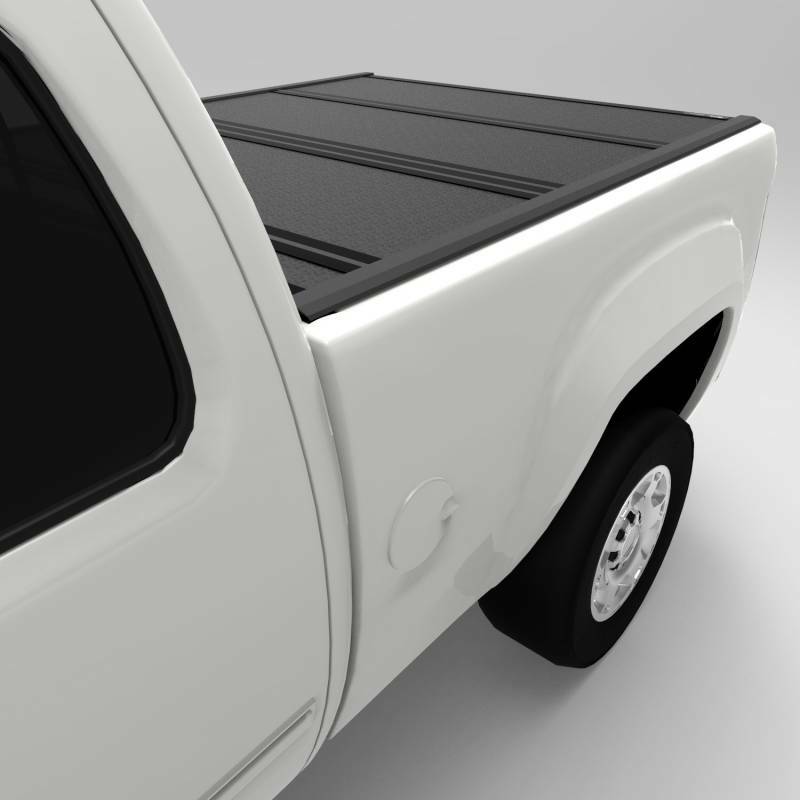 Full Access ?Co Built in prop rods secure the cover allowing your truck to be driven with the cover fully open. Easy Removal ?Co Entire cover can be removed in seconds with no tools needed. Secure Design ?Co Plastic buckles and straps are included to secure the panels in the partially open position. FRP Composite Panels ?Co Lighter, stronger and higher dent resistance than aluminum. Weather Resistant ?Co Rubber seals and drain tubes channel water away from and out of the bed. No Drill Install ?Co Clamp-on no drill installation on most applications. No other folding cover can match the Flex for versatility, security and function. Covered or uncovered, always and option with UnderCover.